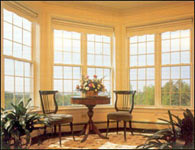 Comfort View Windows began vinyl single hung window production in 2000. The enterprise was founded based on the industry need for quality new construction vinyl windows. Dozier proudly offers you this brand for both new home and remodeling projects.